Want to unblock sites and access content on the Internet anonymously on your Android device? That too for free and without any data download caps? Well, you sure are asking for a lot, but fear not because ProtonVPN combines it all into one single package and has today made its debut for Android devices. Developed by former CERN researchers and scientists who also created the ultra-secure email platform ProtonMail, ProtonVPN is obviously yet another tool that allows you to browse the web freely and anonymously. It enables you to bypass online censorship blocks while also laying emphasis on security by moving all traffic through encrypted channels. ProtonVPN’s Android app is quite simple and user-friendly. Once you’ve installed the VPN app on your smartphone, all you need to do is power it up, create/ login an account, and then connected to one of the three country’s servers you get access to in the free tier. It also offers paid plans that come with extra features, higher speeds and access to more countries, but the free plan is obviously worth it. 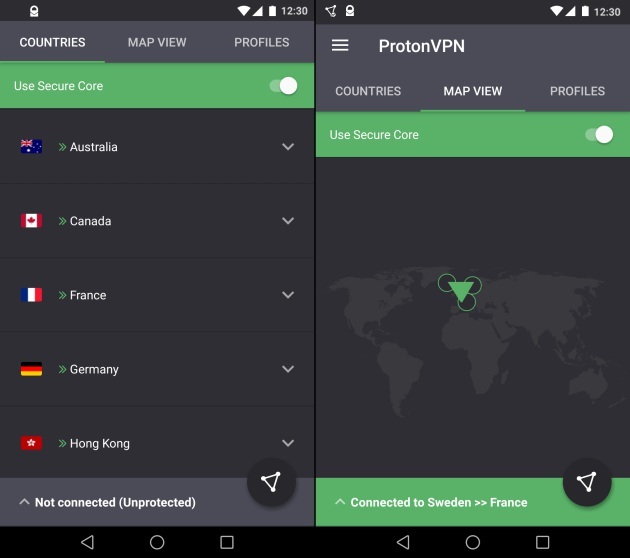 So, if you’re looking for a completely private and secure connection, that doesn’t break the bank, then you should download ProtonVPN from Google Play Store right here.